Roller Derby Across the Country (and in Puerto Rico) This Weekend! 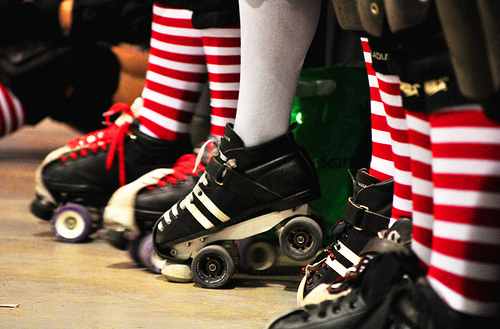 Everyone out there probably knows how much we love Roller Derby and the incredible community surrounding it. Over the last decade we’ve watched this sport grow from scrappy DIY beginnings to filling arenas across the country and we can’t be more proud to be such an integral part of the derby family. As part of this community we feel it’s our duty to get the word out about derby events and to encourage all our customers to support this incredible sport and all those involved in it. So, here’s my list of derby events happening in the next couple weeks. There’s even the first Roller Derby bout in Puerto Rico! Get out there and support your local derby teams! Tell ’em BPT sent you. 2011 Fall Down Mix Up – Castle Rock, Colorado 60 skaters, from leagues across Colorado coming together for this night of Mixed up derby fun. Kids 12 & under are always free. 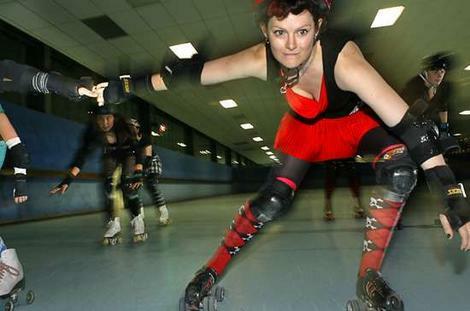 Don’t miss the after party at “Jerry Street Grill & Bar” where you can meet and mingle with your favorite derby girls! Tags: A'Salt Creek Roller Girls, Alamo City Rollergirls, Arizona Derby Dames, Arkham Assailants, Assault City's Battery Brigade, Bath City Roller Girls, Battle Creek Cereal Killers, Black Heart Maidens, Black N' Bluegrass Rollergirls, Bradentucky Bombers, Brighton Roller Dollz, Burlington Bombers, Cape Gireardeau Roller Girls, Castle Rock N' Rollers, Central Michigan Roller Derby, Central Vermont Roller Derby, Chattanooga Roller Girls, Cheyanne Capidoll Stars, Chippewa Valley Roller Girls, Columbia Quad Squad, COMO Derby Dames, Connecticut RollerGirls, Cowtown Butchers, Derby Dimes, Desert Dolls Roller Derby, Detroit Derby Girls, Dixie Derby Girls, Fort Meyers Derby Girls, Gem City Rollergirls, Gotham Girls Roller Derby, Greeley Slaughterhouse Girls, Hudson Valley Horrors, Iron Range Maidens, Jack Town Derby Girls, Laramie Naughty Pines, Lehigh Valley Rollergirs, Lisabet Anna Buesing Foundation, Low Country Highrollers, Mass Attack Roller Derby, Minnesota Men's Roller Derby, Naptown Warning Belles, New Hampshire Roller Derby, O-Town Derby Dames, Orlando Psycho City Derby Girls, Richland County Regulators, Rideau Valley Roller Girls, River Valley Roller Girls, San Diego Roller Derby Starlettes, SCDC, Sioux City Kornstalkers, Sprinfield All Stars, Springfield Roller Girls, St. Chux Derby Chix, St. Louis ARRG, Star City Roller Girls, Stepford Sabotage, Sunnyland Slammers, The D-Town Derby Crew, The Rookie Rivals, the Serial Thrillers, Tropic Terrors Derby, Yankee Brutals.